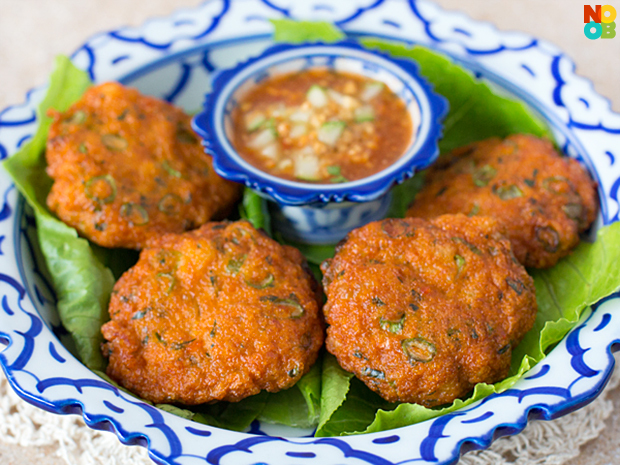 Thai fish cake (Tod Mun Pla) is a popular Thai street snack and iconic Thai dish. 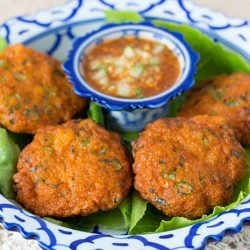 As a huge fan of Thai food, Thai fish cakes definitely top my favourite Thai food list. And I am so glad that they are so easy to recreate in the kitchen, so I know I can cook them whenever the Thai food craving kicks in. 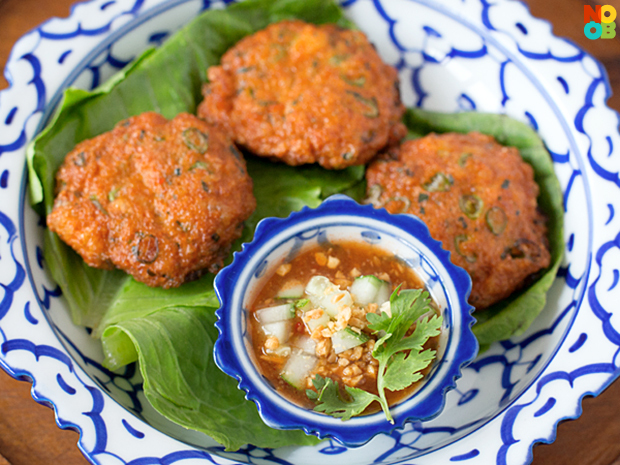 Due to the Thai red curry paste used, these fish cakes are strikingly beautiful and flavourful after deep frying. It took me only about 30 minutes to make the fish cakes from scratch using fresh fish fillet – they are definitely easier to make than they look! 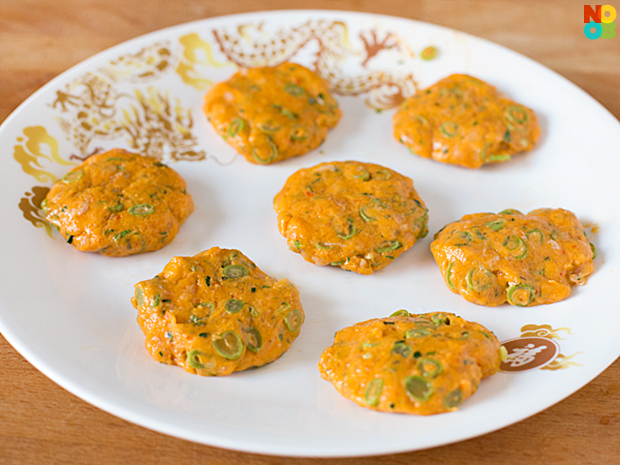 The chilli dip that goes with the fish cakes are really easy to make as well. The diced cucumbers and chopped peanuts adds texture and crunch to the sauce, making them an excellent dipping sauce for the fish cakes.